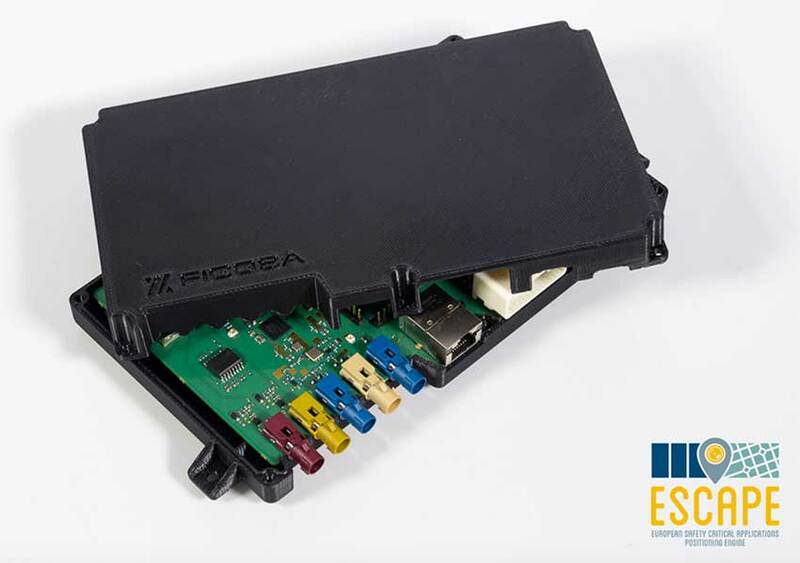 A European Union project has designed and prototyped the ESCAPE GNSS Engine (EGE), a unique positioning module intended to enable autonomous or semi-autonomous driving functions. Automated vehicles are on the way, and the European GNSS Agency (GSA) sees satellite navigation as a core technology that will help to ensure their safe operation. At the recent Mobile World Congress in Barcelona, the GSA shared its space with the ESCAPE project, an EU-funded initiative that has developed a unique positioning module for autonomous or semi-autonomous driving. Autonomous vehicles will feature both sensor-based and connection-based solutions for a variety of vehicle services. Ultimately, the GSA sees a “converged solution” as the best alternative, combining the strengths of both approaches. By integrating sensor data and connectivity-based information, operators can reduce the need for the most expensive sensors and at the same time save money on infrastructure. Dual-frequency is of course a real differentiator for Galileo, as the world’s leading provider of dual-frequency GNSS signals. This means added precision and robustness and it helps enormously with multi-phase errors and other urban canyon issues in city-driving scenarios. The ESCAPE unit also provides for the integration of other data from the vehicle. “That means vehicle odometry, for instance, you can have camera information, or information from maps that are stored in the vehicle, among others” Garcia said.